Use manually recorded GPS locations to align your photos with the world. 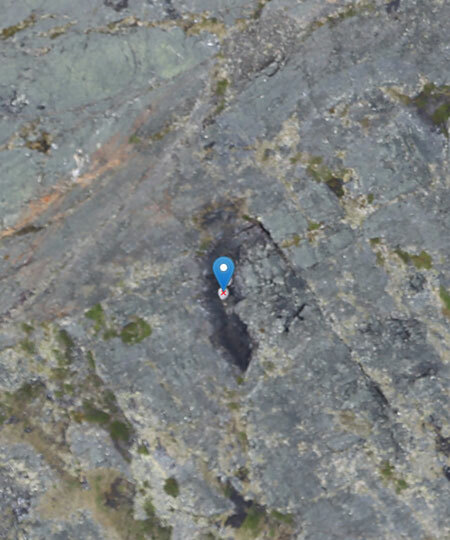 The goal behind our Manual Georeferencing Workflow is to correlate pixels in the imagery with their corresponding real-world GPS coordinates. 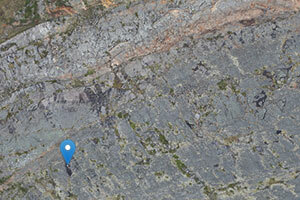 The map above is an example of aerial imagery being layed over a public basemap. Zoom in and see the difference in the available resolution. Use the control in the top right to hide the georefereced layer to see how things line up. This alignment is acheived by the user creating correlations between a few images and manually recorded GPS locations for objects in the photos. These correlations are called Ground Control Points, or GCPs. In creating these GCPs, a bit of precision is required to carefully associate objects in the images with the manually recorded points. It is important to get accurate data when recording your GCPs in the field. Map will only be as accurate as their GPS points are. Also, when associating the objects where the points were recorded with the recorded data, be sure to select the exact location where the reading was taken. A little bit of approximation is OK, but try to get as close as possible. Being off by a couple of pixels will likely still work out, but more than 5 pixels or so is not. Remember: garbage in, garbage out. A manual GCP is created by defining a marker on an image and entering the latitude and longitude in decimal degrees optionally the alititude of the object in meters. If the points are being taken on a GPS receiver that cost less than $1000, it is probably better not to enter an altitude. In this case, an altitude will be pulled from the best available public elevation database. If the area being surveryed is heavily modified (construction or excavation), the manually recorded point will likely be better but take care to reference the GPS receiver to a known elevation before making the recordings. An Anchor Point consists of two GCPs that share an exact GPS location. This means that an object that is present in at least two images should be defined and assigned the EXACT same location coordinates. The "Reuse this location" button is a shortcut for this. Our process requires the definition of at least three Anchor Points in addition to at least one standard GCP. 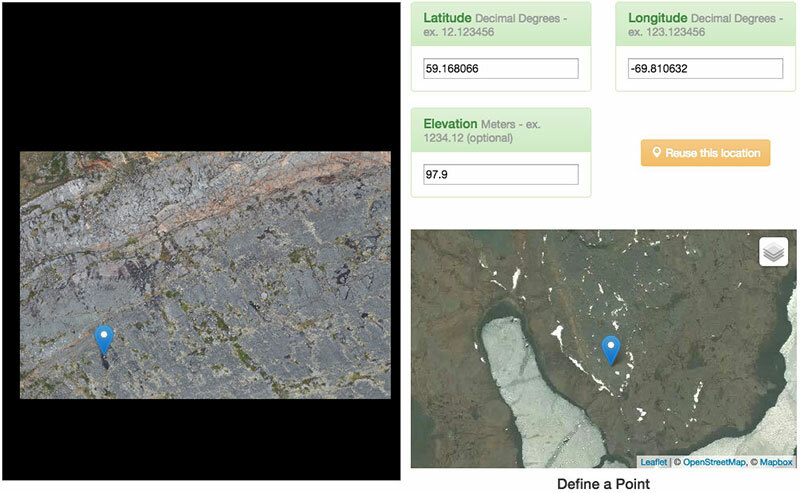 Feature selection when out in the field is an important component to creating accurate maps. 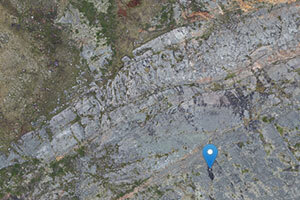 Choose points within the area being mapped that will be easy to find in imagery. Going to be present in at least two images, not on exteme edges. Features on the ground, NOT man-made structures or vertical features like trees. Permanent so they can be reused for subsequent visits. Click Choose File and select one of the images in which the object the measurement is present. 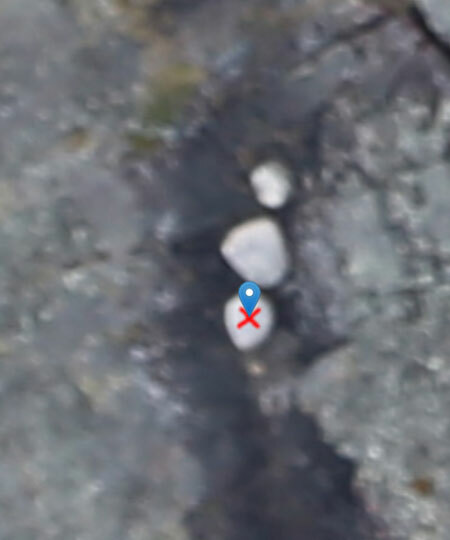 Zoom in and right click on the object in the image where the measurement was taken. A marker will be drawn on the basemap as a visual check. Enter the Latitude, Longitude and Elevation values for the location designated in the image. The Latitude, Longitude and Elevation numbers that were defined on the previous GCP are automatically populated. Zoom in and right click on that same object in the image. Again, make sure to select the exact area of the object that was selected before.